Once a Data Service job is deployed to CloverDX Server, we automatically generate a documentation for the endpoint using the information from Endpoint Configuration. The documentation is generated using an informal, but popular, Swagger / OpenAPI format. The documentation is automatically published together with the HTTP endpoint of your service, so you can easily share it with your endpoint consumers by simply providing them with a link to it. 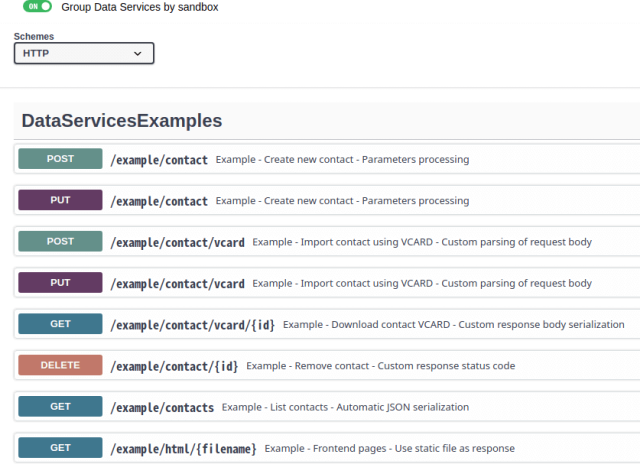 We also generate a Swagger definition file for the service, that can be used by endpoint consumers to generate client code for consuming your API.